Cancel. Resume. On (stays off). Off. Cancel. Resume. On! 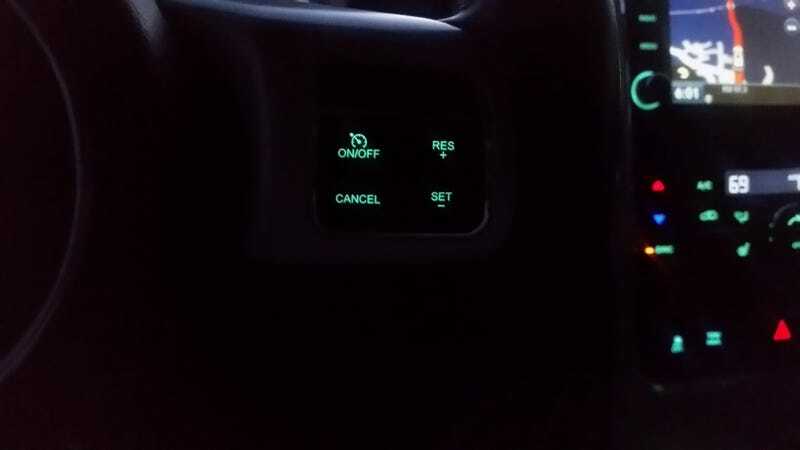 Now you can activate the Cruise Control feature in my 2012 Jeep Grand Cherokee, you’re welcome! [Broke + Works = Quirk]. If you have ever been employed then you know this is true about all things in life.